Virginie Dorn and her staff are very good at what they do, and everybody has a smile in their voice. They want you to be fully satisfied. And I was! Online consumption is not just a trend. 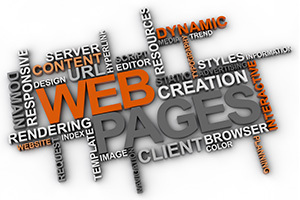 It is a new way of doing business, and your website is your lead salesmen. As more and more people use websites as a way to screen businesses for products and services, the content of your website is becoming increasingly important. Let our professional copywriters find the perfect message that will capture the attention of your online visitors, and keep them interested in what your website offers. The copywriters at Business Website Center understand the importance of balancing factual, results-based marketing, with emotionally stimulating copy in order to create a desire for your products and services. Our writing speaks to your website visitors honestly and with clarity, all while supporting the marketing efforts and determined SEO goals for your company. Our copywriters pull insights from our marketing research and incorporate them into the content of each website page. We also take the time to understand your target audience, their consumer behavior, and how you want your company to be perceived online. What appeals to your target audience? Does your target audience prefer to be addressed in a casual or formal manner? What emotional need is being fulfilled by the products or services your website offers? Is it safety? Belonging? Status? Are users of your products or services emotionally or pragmatically motivated? With this knowledge, we write compelling content that captivates your target audience and triggers an emotional response. We understand what your target audience needs to hear from your business to trust that their consumer needs will be met. 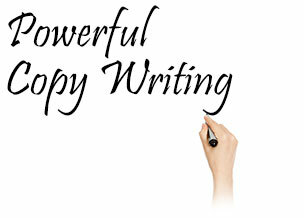 Every word that we write for our clients is thoughtfully prepared. Every page is a valuable opportunity to speak directly to your website visitors, conveying a specific message that will close the deal for your business. Call us at (707) 794-9999 to request a FREE quote. Over 85% of consumers searched for local businesses online. Business leaders are increasingly aware of the fact that they need a strong online presence, but being found online is only half the battle. You need website copy that will give visitors the right impression of your company and motivate them to choose your business over your competition. Communication mediums have changed over time, but the power of words never will. According to Google, 90% of all media interactions today are screen-based. The first impression of your business is not made in person, or even in print. Now more than ever, business leaders must treat their website like their #1 salesman, and make sure that every word on every page is powerful and intentional; not just text to please the search engines. Use our Contact Page to request additional information about Web Content or Commercial Copy Writing services for your business or organization.